Fender bass guitar strings are good quality for all electric bass guitars. The well-known American brand has strings for 4-string, 5-string, 6-string and fretless bass guitars as well as acoustic bass guitars. 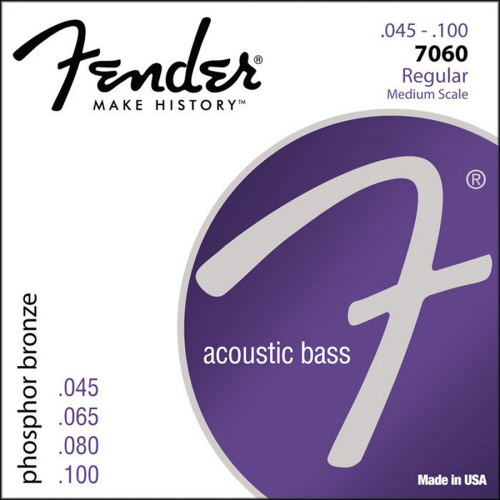 Buy your Fender series 7250S, 8250S, 9120S for electric bass guitars and Phosphor Bronze for acoustic bass guitars here. Fender string set for bass guitars. Material: nickel roundwound. Version: Light. Sizes: 040-050-080-100. Now from € 24,95 for € 21,95. Best price online! Fender string set for bass guitars. Material: nickel roundwound. Version: Medium Light. Sizes: 045-065-080-100. Now from € 24,95 for € 21,95. Best price online! Fender string set for bass guitars. Material: nickel roundwound. Version: Medium. Sizes: 045-065-085-105. Now from € 24,95 for € 21,95. Best price online! Fender string set for bass guitars. Material: nickel roundwound. Version: Medium Heavy. Sizes: 050-070-085-105. Now from € 24,95 for € 21,95. Best price online! Fender string set for 5-string bass guitars. Material: nickel roundwound. Version: Light. Sizes: 040-060-080-100-115. Now from € 27,95 for € 23,95. Best price online! Fender string set for 5-string bass guitars. Material: nickel roundwound. Version: Medium. Sizes: 045-065-085-105-125. Now from € 27,95 for € 23,95. Best price online! Fender string set for 6-string bass guitars. Material: nickel roundwound. Version: Medium. Sizes: 030-045-065-085-105-130. Now from € 27,95 for € 23,95. Best price online! Fender string set for fretless bass guitars. Material: nylon tapewound. Version: Medium. Sizes: 058-072-092-110. Now from € 27,95 for € 23,95. Best price online! 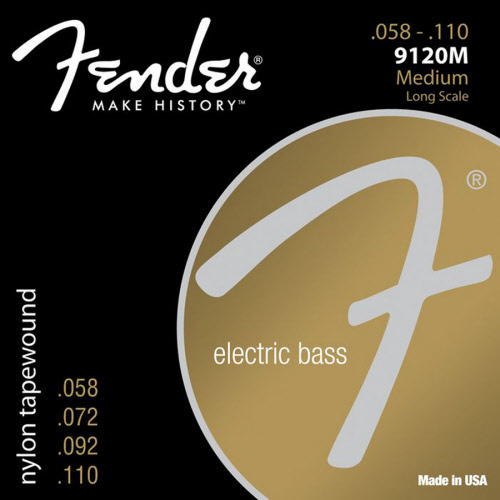 Fender string set for electric bass guitars (strings through body). Material: nickel roundwound. Version: Medium. Sizes: 045-065-085-110tw. Now from € 24,95 for € 20,95. Best price online! 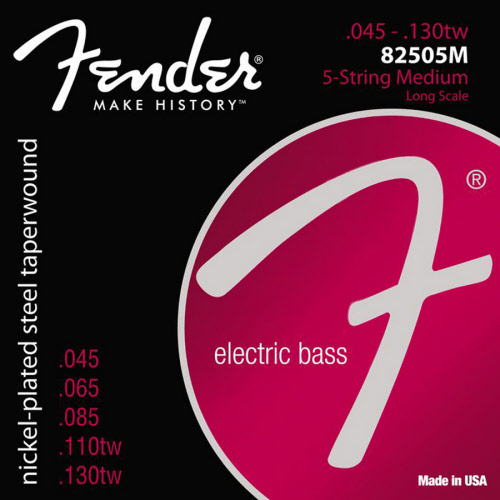 Fender string set for 5-string bass guitars (strings through body). Material: nickel roundwound. Version: Medium. Sizes: 045-065-085-110tw-130tw. Now from € 28,95 for € 24,95. Best price online! Fender string set for acoustic guitars 32" medium scale. Material: phosphor bronze wound. Version: Medium Scale. Sizes: 045-055-075-095. Now from € 19,95 for € 14,75. Best price online! Fender string set for acoustic guitars 34" long scale. Material: phosphor bronze wound. Version: Medium Scale. Sizes: 045-055-075-095. Now from € 19,95 for € 14,75. Best price online!